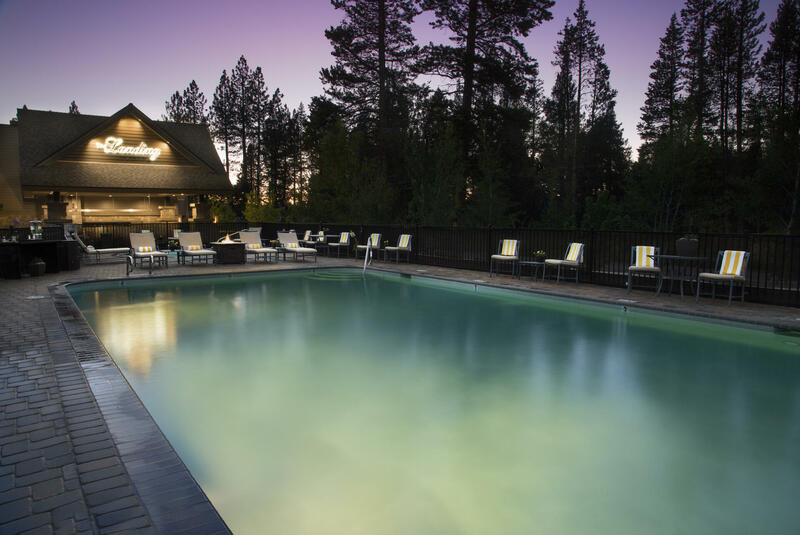 Situated on the pristine shoreline of South Lake Tahoe, The Landing Resort & Spa is the only luxury waterfront resort in the area. Moments from the best South Lake Tahoe things to in winter, summer, spring and fall, our Resort is only three blocks from the lively downtown area, casinos and Heavenly Village, which offers shopping, restaurants and galleries. With so many of the most exciting South Lake Tahoe activities right at your fingertips, The Landing Resort & Spa is the perfect place for a unique and unforgettable adventure. For guests looking for adventure, bike paths, dirt roads, single tracks, and bike parks abound around the lake. There are scenic, mellow rides as well as steep, rocky precipices in the mountains. Some ski resorts have bike parks where you can purchase a lift ticket, ride effortlessly to the summit and then adventure your way down dusty ski trails. For a true challenge, check out the Flume Trail with its astonishing views and single track along the east shore. For an article on the top six-area mountain bike trails visit www.tahoesouth.com or www.tahoevacationguide.com for additional trail information. Guests who enjoy water sports will find no shortage of fun in Lake Tahoe with boating, waterskiing, wakeboarding, kayaking, and paddle boarding; lessons available for beginners. Lakeside Beach and Marina is just steps away from The Landing Resort & Spa. Fishing excursions range from serene fly fishing to chartered lake fishing for individuals and groups of all sizes. Edgewood Golf Course is adjacent to The Landing Resort & Spa and rated by Golf Digest Magazine as one of "America's Top Golf Courses" with five additional golf courses around the Lake Tahoe area. Enjoy equestrian adventures such as steak dinner rides, one-hour to two-hour excursions plus breakfast, lunch, and dinner rides. Other outings include backcountry pack trips, hay wagon rides, and pony rides, along with trail rides at Camp Richardson’s Corral or Zephyr Cove Stables. Cruise options feature an elegant dinner cruise or a beautiful sightseeing tour. The M.S. Dixie II or the Tahoe Queen out of Zephyr Cove offer dancing and dining. The majestic Sierra Mountains offer 12 ski resorts around the lake with jaw-dropping cliffs, serene glades and spectacular views of the lake. Heavenly Village & Gondola is just a few minutes away by shuttle, and some other exciting ski mountains include Squaw Valley/Alpine Meadows, Northstar, and Kirkwood. Explore the tranquility of the snow-covered meadows with a customized tour for all levels of ability. Explore nature’s less-traveled roads and glide through pristine woods and lakeside trails at speeds that relax or thrill -- the choice is yours! Experience authentic, cozy winter sleigh rides or the thrills of tubing and sledding with unbelievable views from mountaintop trams and lodges. If you drive around Lake Tahoe in the inside lane, it’s 72 miles around. However, if you drive around the outside lane, it’s 73. The lake is so big that it adds and extra mile to the drive! 63 tributaries feed Lake Tahoe, however there is only one going out of the lake – the Truckee River. Lake Tahoe is the largest freshwater lake in the Sierra Nevada. Lake Tahoe is the largest alpine lake in North America. And, at 122,160,280 acre feet, trails only the five Great Lakes as the largest by volume in the United States. Lake Tahoe’s deepest point is 1,645 feet, making it the second deepest in the United States after Crater Lake in Oregon. There are 12 ski resorts in the Lake Tahoe Basin – Squaw Valley, Alpine Meadows, Diamond Peak, Boreal Mountain, Heavenly, Northstar, Kirkwood, Sugar Bowl, Sierra-at-Tahoe, Mount Rose, Homewood and Donner Ski Ranch. Lake Tahoe straddles two states – Nevada and California. There are two statelines around the lake – one in South Lake Tahoe and the other in Crystal Bay on the North Shore. Approximately 2/3 of the shoreline of Lake Tahoe is in California. Tahoe means “big water” in Washo, the native language of the Native Americans who first inhabited the area. Lake Tahoe does not get its iconic blue tint because the water is so clear. Instead, the lake’s blueness comes from the amount of algae in the water. At its longest and widest point – Lake Tahoe measure 22 miles. If you took all of the water out of Lake Tahoe and poured it onto an area the size of California, the water would still be 14 inches deep. The amount of water in Lake Tahoe (39 trillion gallons) is enough to supply each person in the US with 50 gallons of water per day for five years. Scenes from Whitney Houston and Kevin Costner’s The Bodyguard were filmed in South Lake Tahoe and nearby Fallen Leaf Lake.